Snapchat is a social media app that the popularity is now approaching instagram and facebook. This application was originally just a simple application to send pictures accompanied by captions. The message that is sent to you set it to disappear or delated after a few seconds. Just as simple as that, but unexpectedly everyone likes the idea of ​​self-destruct message of snapchat. With increasing number of users, snapchat continue to develop their applications with a variety of interesting features. Some people who are just starting to be used snapchat may be a little bit confused because unfamiliar. Here is the ultimate guide to using snapchat for beginner that will help you to easily use snapchat and know the jargon and features that are commonly used by your friends to exchange selfies. The first thing you should do is make sure that you have an active email account, because your email will be used to register to get your snapchat snapchat. Once you have an email address, the next thing to do is of course to download snapchat app. 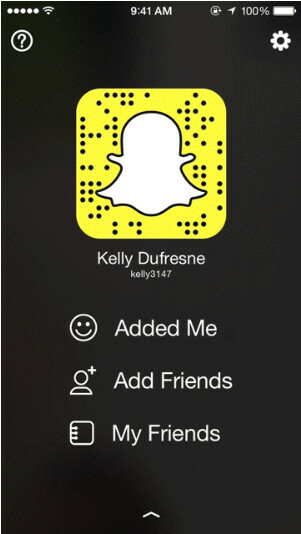 New snapchat available for iOS users, including iPhone, iPod, and iPad. In addition snapchat also available free for Android users. Launch the snapchat app that you have just install. The interface is quite simple which is make it easy, you will know what to do when you see it, there is a “Sign up” button, just tap on it reo register. The next move, you need to fill the form with your email address, password, and your date of birth. You have to be at least 13 years old to create a snapchat account, so kiddo, you need to step back right here. Then you have to choose a username, your username must unique and easy to remember, you can get the ideas of choosing your snapchat username here by looking at celebrity’s snapchat usernames. Another thing to remember, your username are permanent, you can not change it once you submit it, so choose wisely. Some says you need to verify your phone number, but actually this step is optional, you can verify your phone number at any time. 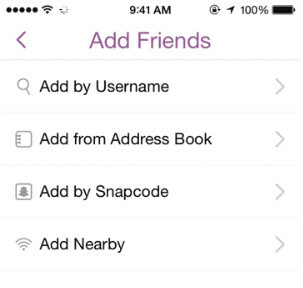 Tap ‘Add Nearby’ and select ‘Ok’ to allow Snapchat to use your location for finding nearby Snapchatters. You need to ask your friends nearby you to activate their “Add nearby” as well so their username will be detected by your device, if they are not open the “Add nearby”, then you cannot add them. To add friends, tap the “+” icon next to your friend’s username, there will be a notification that you are being added by others also. 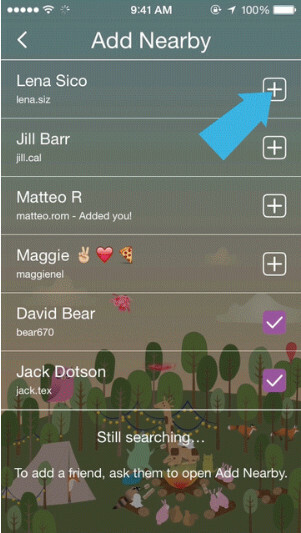 Besides “add nearby”, you can also add friends if you know the username of your friend. You can also use the “Add by Snapcode” if there are only two of you around where you are, so you do not need to use the “Add nearby”. Now you are set to go, you are ready to send your first snap. Maybe you’re a little bit confused with the term “snaps” which is the main feature of this app. On snapchat, snaps means photos or picture and video with or without sound that is sent from one to another by Snapchat’s users. As explained earlier that this snaps can only be seen at least 10 seconds, depending on how long does the sender set the snaps to disappear in a matter of seconds. 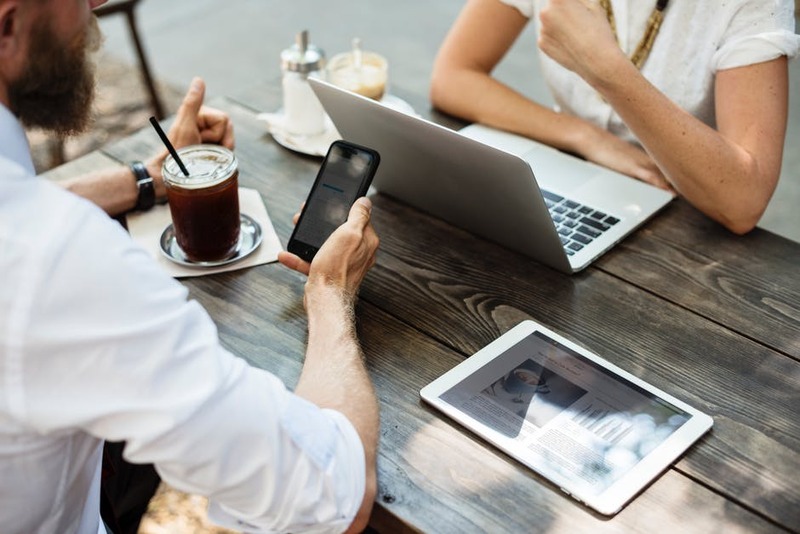 Although the snaps that you recieved will disappear soon, you can save it by taking a screenshot on the snaps, but the sender will know that you are take a screenshot of the snaps they sent which is perhaps a little bit embarrassing. Snaps can also be played back or replayed, we will learn more about how to replay a snaps. Snapchat has a very simple user interface, makes everyone can easily use it. To send a snap that contain a picture, tap on the big white-transparent button in the bottom of the center, while for video snap, press and hold the same button as long as you want to record the video. You must complete your snap by adding drawings and caption. After taking a picture, tap in the top right corner. Tap the middle of the screen to add the caption, then press “Done” to finish. The last thing is to set the timer, tap the timer icon in the buttom left corner and select on which second you want your snap to be deleted by itself. Stickers is a must-have for social media apps, including snapchat. Stickers can be used to express your feeling. 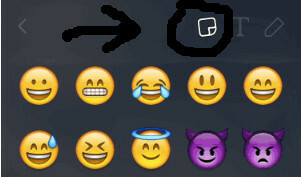 After taking a snap, tap on the icon in the black circled as shown below to open the stikers lot. Tap on the stiker you want to put it on your snap. There also new feature called “snapchat lense”, where you can modify your face on selfie picture, learn how to do it. You have added and make some friends on Snapchat, now your contact list are filled with usernames, of course you would have expected someone sends you a snap. You know that you have received a snap of your friends when there is a red colored square icon next to the username of your friend. To view the snap, just tap once on it. There are many other icons next to username with different meanings. In the next article we will discuss how to use snapchat stories, discover, geofilter, and other exiting features of snapchat, so stick aroud. So, you have learn to make snapchat account and already have your own snapchat username, you also already make some friends there and able to interacted by using snaps feature. If you find any difficulty in using snapchat for beginner part 1, please leave a comment.